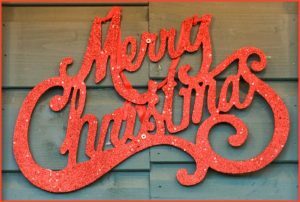 Warmest thoughts and best wishes to you all. Drivers passing through Powburn are being warned to keep their speed in check as police step up their camera enforcement due to continued excessive speeding through the village. During October, 481 speeding offences were recorded through the village over a four-day period. Many of the speeding motorists were travelling at 50 mph or over in the 30-mph limit, with some even travelling at over 60mph. These motorists will face an automatic court summons. The speed camera enforcement van had been deployed to the area by Northumbria Police in response to safety concerns from local residents and councillors about the high volume of fast-moving traffic passing through the rural village which lies on the busy A697. Northumberland County Councillor Wendy Pattison campaigned heavily for the mobile camera van and hopes that the increase in frequency of speed checks in the village will act as a massive deterrent and a clear reminder to drivers that they are passing through a residential area. Reducing the speed of vehicles will greatly reduce the risk and severity of any potential accidents and make Powburn a safer place for everyone. Powburn is a speeding hotspot with a high volume of traffic, including many heavy goods vehicles passing through. During a recent deployment of the camera van in the village a speeding motorist was caught every two and a half minutes. The camera in the van captures high definition video of traffic travelling both north and south and can capture vehicles from 20 Metres up to 1km away. It can detect speeding drivers, anti-social driving such as seat belt offences, those disposing of litter and drivers using mobile phones behind the wheel. The prevalence and consistency of excessively high speeds through this residential area is quite unacceptable. 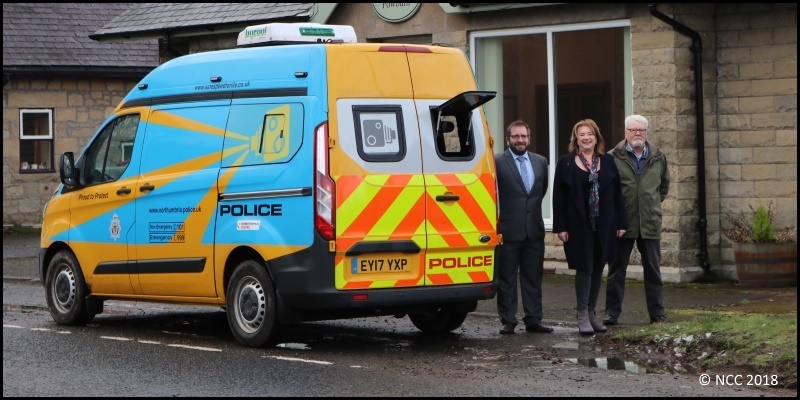 Working in close partnership with Northumberland County Council and the local community, the speed camera van was agreed as the most effective resource Northumbria Police had available to try to tackle the issue. The van will enforce within the village on an unpredictable basis with no discernible pattern, so motorists should have the perception that the van could be there any time. It is hoped that this perception will make drivers think twice about speeding which will, in turn, make the road safer for not only themselves but also residents and visitors to the area. I had the pleasure recently of looking around the now fully completed Duchess High School in the company of Head Teacher, Maurice Hall and County Councillor Guy Renner Thompson. The High School has had what can only be described as an ‘interesting’ year in terms of change and I was impressed with the design and the layout of the school. The school extension is now complete, the mobile classrooms have gone, and the school is now ready to look forward to a great future for all of our children. A very big thank you to Cllr May Wilson, Hedgley Parish Council, who attended the joint 9 Parishes meeting at the Thrunton Trout Fishery on 12 October 2018 on behalf of the Parish Council. 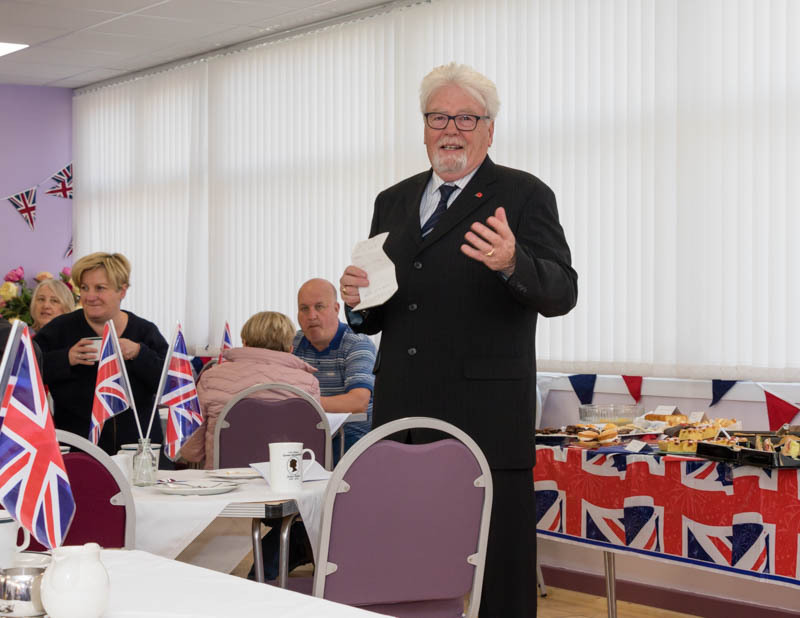 The joint Parish meetings were first started so that all of the Parishes in the Longhoughton Ward were able to meet on a regular basis and discuss jointly all Parish issues and to enable closer working between all of the 9 Parish Councils. This has proved extremely rewarding and successful. One of the subjects discussed was how each Parish Council dealt with Planning Application as each Parish deals with them in a slightly different way. Mr Adam Shanley, Parish Clerk for Craster, offered to send out a planning template to assist all Parish Clerks should each individual PC agree to adopt the format. Sylvia Pringle, iNorthumberland Business and Community Engagement Officer, gave an excellent talk about current broadband alternatives and also spoke about community venues/warm hubs and learning about apps, downloading library books and magazines and how to access online shopping for older people. Adam discussed all of our 9 Parish Clerks working more closely together and the possibility of a Clerk from a neighbouring parish being able to step in to help when another Parish is without a Parish Clerk. Everyone thought it would be a good idea to invite all of the Longhoughton Ward Parish Clerks to attend the next 9 Parish meeting along with the Chairmen so that everyone will get to know one and other better and will promote much closer working between all of the Parishes. The Chair of Longhoughton Parish Council, Cllr Eleanor Philips, also discussed individual Parish Councils becoming Parish Councils of excellence and advised Councillors of the various criteria required. The next 9 Parishes meeting will be held in March/April 2019. This wonderful initiative culminated in a very moving dedication ceremony at Powburn on Saturday 27 October 2018, with residents, family members, Parish Councillors and representatives from many of the regiments to which the men belonged. Funding for the war memorial came from local donations and I was more than happy to give some of my Members Allowance towards such a wonderful project which was meaningful and so very important to the families of all the men who died and to the residents of Hedgeley Parish. Northumberland County Council (NCC) have a fleet of 28 front line gritters on station. All vehicles are now in location and have been since the 29 of October when this year’s Winter Services Rota was implemented. As part of the fleet replacement programme five new gritters (18t/26t 6/9 cu Econ/Mercedes) are expected soon and will replace current operational gritters. The vehicles have everything a modern gritter should have. In addition, the vehicles come fitted with 360-degree cameras around the vehicle. The cameras record to a hard drive and can also be remotely monitored by supervisors and managers via a live feed. They will provide a high level of driver safety. 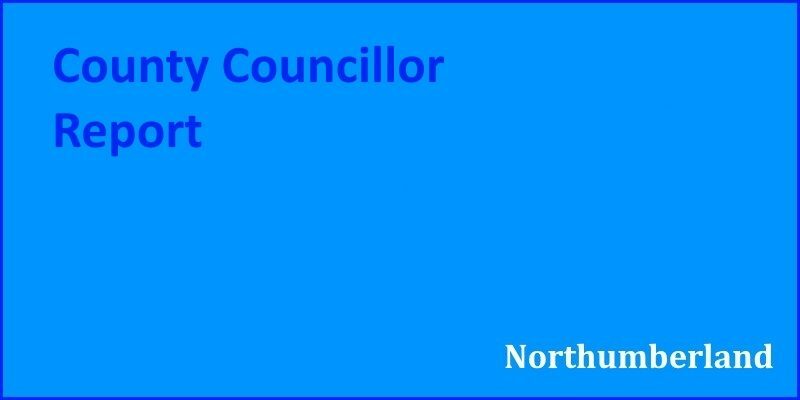 NCC gritting actions are posted on the NCC website, Twitter and Facebook. This is across the regular winter period from the start of November to the end of March (unless we are required to extend the service due to weather). NCC would ask everyone to use the 0345 600 6400 for winter service requests or any emergencies. This will make sure they log the call correctly and it is dealt with in the most efficient way possible. NCC has recently awarded a contract to construct two new salt barns in Allendale and Blyth for 4000T salt capacity. Also, salt covers are being implemented at NCC strategic store in Powburn and also proposed for Rothbury. Image of Wendy Pattison, image of camera van and personnel, and all text provided by Cllr. 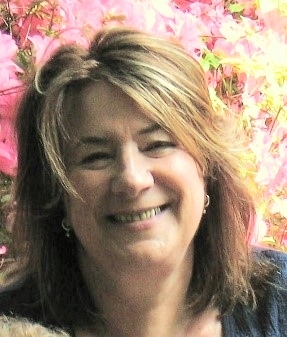 Wendy Pattison and used with permission.